The Safety Maintenance Company offer a range of IPAF training courses from our specialist training centre in Leeds, near Wakefield. Whether you’re looking for a one-off IPAF 3A & 3B training course for yourself, or you have a number of employees that you need to find a local IPAF training course for – our specialist training team can help. Why choose The Safety Maintenance Company for your IPAF training requirements in Wakefield? Our courses are run at our training centre located in Pudsey, Leeds providing a great location for IPAF training throughout Yorkshire. 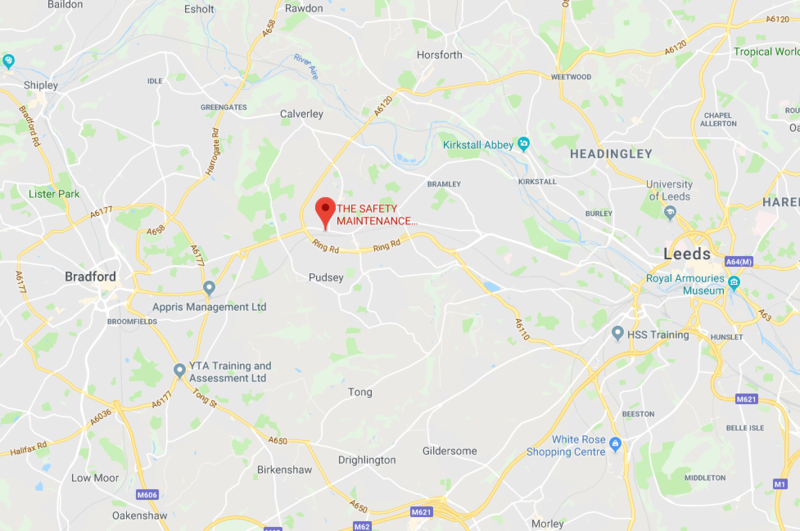 We’re not far from both the M62 and the M1 providing easy access from Wakefield, Bradford, Huddersfield, Halifax and many more local areas.